Glendalough, Gleann da Loch, the valley of the two lakes, is one of the important religious and historic places in the Wicklow Mountains. In the 6.th century Saint Kevin appeared in the valley and founded a hermitage. As Kevin was an excelent scholar, more and more people pilgered to the valley and a monestary was founded. In the 12th century Gleandalough was a town with seven churches and about 3000 inhabitants. Numberous Viking attacks and a devastating fire in 1398 brought the learned life to an end. 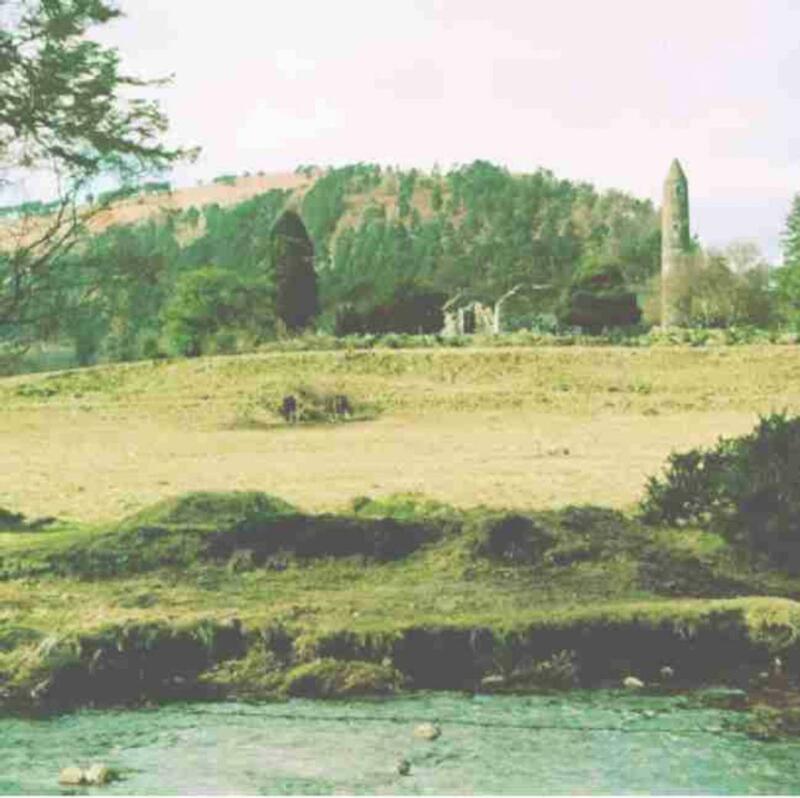 If you want to know more about Glendalough, have a look at Glendalough: A Celtic Pilgirm. This book gives you a detailed insight of the time when the cultural and spiritual life at this monastary reached its peak.